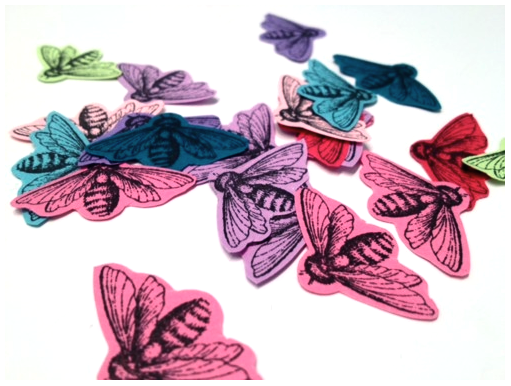 you know you're bored when... you spend hours and hours stamping and cutting out little paper bees. but i don't actually mind - i find it therapeutic and relaxing. it's probably one of the reasons i like making stationery so much - lots of repetitive monotonous motions. i would probably like knitting too but i've never tried it! i should ask my mother to teach me as she was always knitting us sweaters growing up. 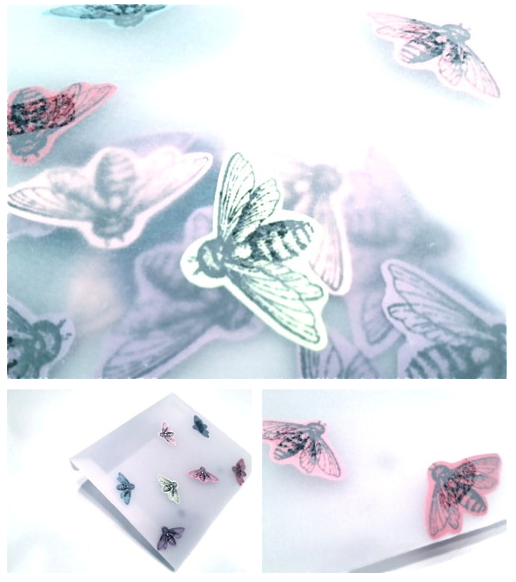 speaking of mothers - below are the bee confetti envelopes i created for mother's day - they feel spring-like don't you think? i used vellum for the envelope materials and sprinkled varying colours bees inside. i read online somewhere that they all tend to gather in one corner so i used double sided tape to adhere some of the insects to the underside of the envelopes. i'm going to write on white cards so that when i put them in, the colourful bees will stand out more. and the final touch? 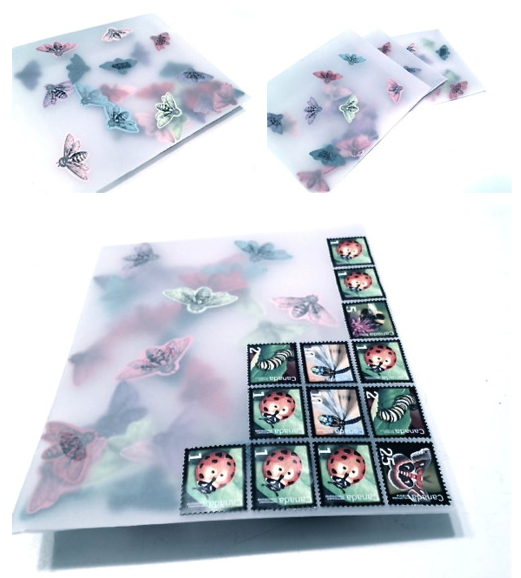 insect postage stamps! i made three - one for my own mother, one for my mother-in-law and one for my aunt - who is like my second mother. Those are really neat. The first picture almost makes me think of confetti. I bet your family will love them! beautiful project! Those stamps are amazing. Those are really fun! I love doing monotonous tasks on occasion as well. The kind of thing I can do while watching a movie. So amazing. What a brilliant idea! I love that you can see the bees through the envelopes. they look amazing, I still want some!